This one-day retreat was really popular, so we’ll be bringing it back several times this year! 2019 Dates TBD. Reconnect with Who You Are with acceptance, gratitude, self-compassion, and self-kindless. Bring awareness, clarity, understanding, and connection to everyday living and relationships. Practice living with ease and calm. Course Format: A half-day retreat focused on you. Upon time of registration your credit card information will be required to process the $35 non-refundable Registration Fee. Cost: Retreat Fee (Includes registration cost taken at registration.) Material and refreshments provided. Cancellation Policy: Cancellations up to 5 days prior to the first session will be refunded in full (minus the non-refundable Registration Fee). Otherwise, clients are responsible for the full Course Fee regardless of attendance. A $25 credit is available to current registrants for the Self-Love Retreat who refer another successfully registrant to the course. The referred registrant must have paid in full before the credit can be applied to referrer’s account. The credit can be used by the referrer towards any future programs or services offered through Aspirations Inc. 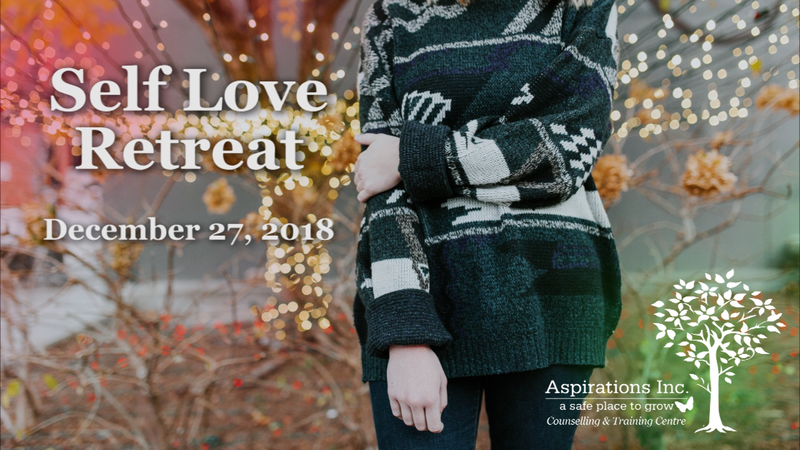 The credit cannot be used towards the Self-Love Retreat on December 27th, 2018.